Caro and the gulls: They may be hot and cross, but I was cool and happy! 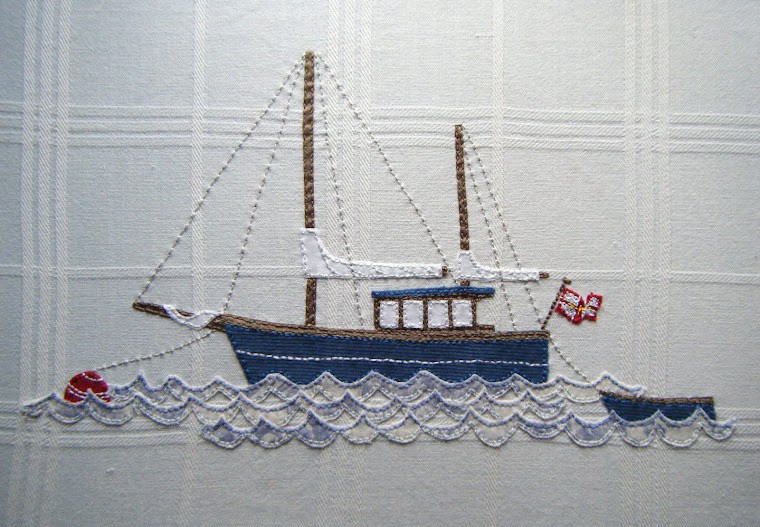 a blog about what makes me tick, my home island of Guernsey, sewing, making things and food! They may be hot and cross, but I was cool and happy! Its Good Friday and that means hot cross buns!!!! there is only one person to turn to St Delia. And so by the time Chris got home the dough was resting for its first rising session. and left to rise again, this time over night. Then this morning just before 7, the oven was on and I made up the mix for the crosses, this time using a recipe from the telegraph last Sunday, rather than Delias plain flour and water. This was roughly piped across the buns and in the oven they went. 15 mins to wait, just enough time to make the sugar glaze and the coffee. Its a beautiful but chilly (well it is still April) morning, so wrapped up well, we headed up to the top of the garden to have a very civilised and delicious breakfast in the sun shine. so maybe St Delia was right all along, again! Hi, I am a trained embroiderer and it really is what defines me and how I look at the world. I usually have 2 or 3 projects on the go, but if for any reason that isnt the case and there is nothing in the work basket, I get very twitchy! I am very lucky to have grown up and live in the beautiful island of Guernsey, just off the french coast, and it definately influences my work as I am sure you will see. I would also like to put on a disclaimer! I am dislexic, have now found spell check (!) but it wouldn't help if I type the wrong word (there/their etc). You have been warned!!!! !